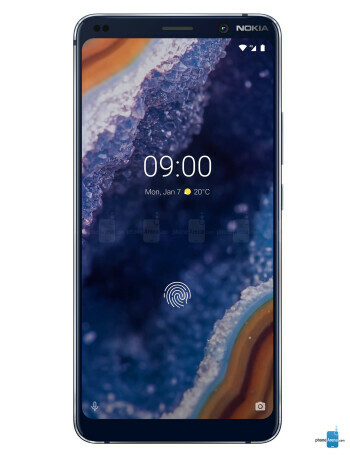 The Nokia 9 PureView is a phone made with photography in mind. Its key selling point is the arrangement of 5 cameras at the back, where 12MP cameras shoot at once to gather more light than a conventional camera – for better image quality and more realistic bokeh effect. Cameras aside, the phone offers a Snapdragon 845, 6GB of RAM, and 128GB of storage for your files, along with a 3320mAh battery. The OLED screen measures 6 inches in diagonal and has a fingerprint reader built into it.